I picked a copy of The Miraculous Journey of Edward Tulane at our local Friends of the Library book sale a few months back. Then a friend of mine - who is a foster mother - mentioned that this is one of her favorite books. When I heard that I shuffled the book stack around and moved this one closer to the top. I finally sat down to read it a few weeks ago. 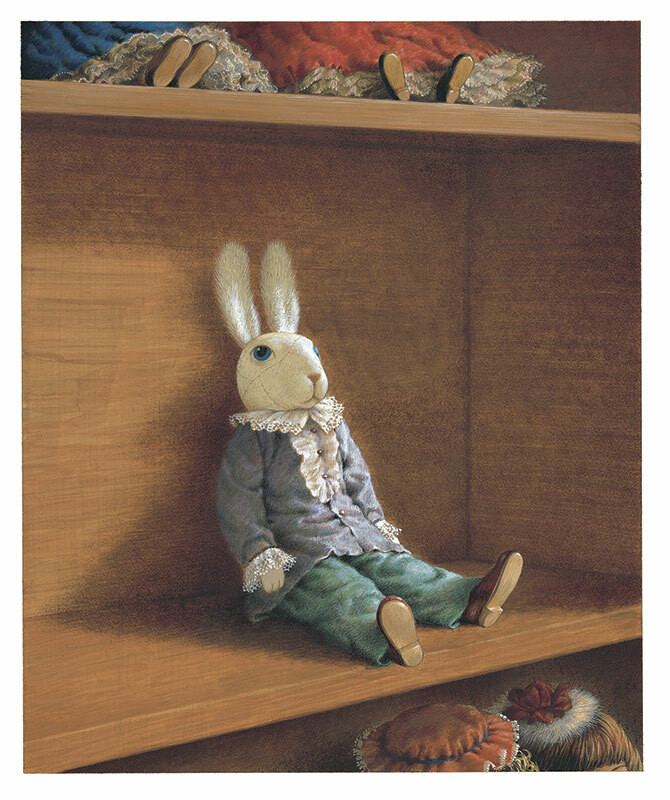 In short, The Miraculous Journey of Edward Tulane , is the story about a self important china rabbit who has a rough journey from self love to real love. Edward Tulane is, as mentioned, a china rabbit. He thinks very well of himself and is bored by anyone and everyone else. A child's toy that was created to share love finds himself without the ability to do so. He only learns what it means to really love someone by becoming lost from his first owner, and then his second and then his third. I can definitely see the themes of a foster child being moved about from one home to the next, never knowing what to expect and always needing time to adapt. Edward travels a rough rode but his pain is not without purpose. Through his trials, he finds he has a heart after all and he comes full circle to belong to a person whose heart was full of love for him from the very beginning. This is a sweet story and a short one as well. It took me all of an hour to read it to myself. Written by Kate DiCamillo, the book is written in her typical style - being straight forward and to the point while having a touch of fairy tale in the wording. The illustrations by Bagram Ibatoulline were exceptional and made this book really come to life for me! "What is REAL?" the Velveteen Rabbit asked the Skin Horse one day. "Does it mean having things that buzz inside you and a stick-out handle?" "It doesn't happen all at once," said the Skin Horse. "You become. It takes a long time. That's why it doesn't happen often to people who break easily, or have sharp edges, or who have to be carefully kept. Generally, by the time you are Real, most of your hair has been loved off, and your eyes drop out and you get loose in your joints and very shabby. But these things don't matter at all, because once you are Real you can't be ugly, except to people who don't understand. But once you are Real you can't become unreal again. It lasts for always." The above passage from The Velveteen Rabbit has long been a favorite of mine. Being real with anyone does involve a certain amount of pain. It's hard to be open with people and let them into your life. Exposing one's true self to others is a difficult and painful thing to do. Our hair gets rubbed off and our eyes start to droop out a bit in the process. But then we become real. Then we find ourselves with greater capacity to love truly and honestly. Pain with purpose should therefore be welcomed, not avoided. I rather enjoyed The Miraculous Journey of Edward Tulane and will look forward to re-reading it again with my kids (or letting my independent reader take a crack at it all by his lonesome)! I've never read anything by this author, but I have a couple titles on my list. I love this story! The audio version is soooooo (yes, it deserves that many o's!) good! I read this with my boys a few years ago and we really enjoyed it! Have you and your family watched the 2007 movie Velveteen Rabit(directed by Michael Landon Jr)? It was a really well directed, beautiful and enjoyable movie that our whole family enjoyed. I think there could be a soapbox in there with self-important self-love growing into real love being contrasted with the crazy self-esteem hype our culture is so enamored by. Both my sisters love Kate diCamillo. I wonder if they've read this one. This makes me want to reread The Velveteen Rabbit.